January has been a busy month. A busy month crocheting this Winter Night Beanie for the Winter Cozies Collection. 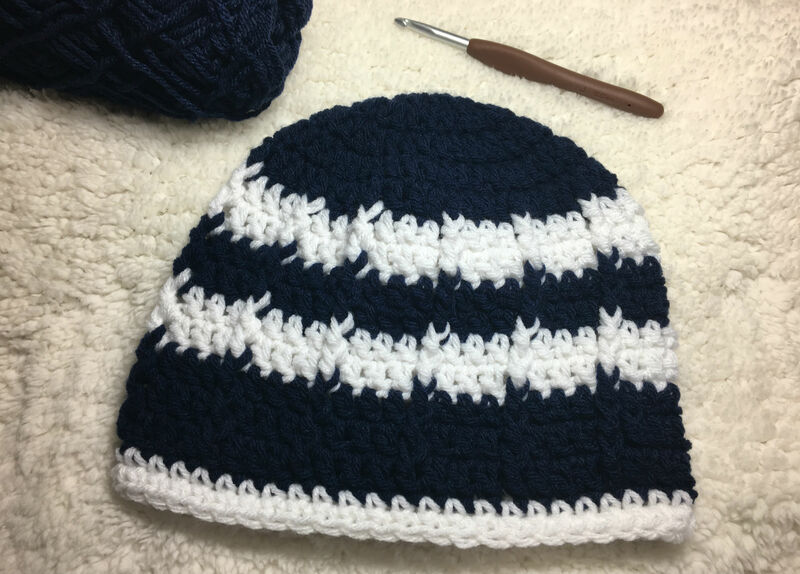 Among other projects, naturally 😉 The Winter Night Beanie was inspired by this frigid weather and some lovely navy yarn I had in my stash, which reminded me of the winter night sky just after the sun sets before full dark settles in, and I decided to compliment it with pure snow white. I hope the love the colour combo as much as I do! 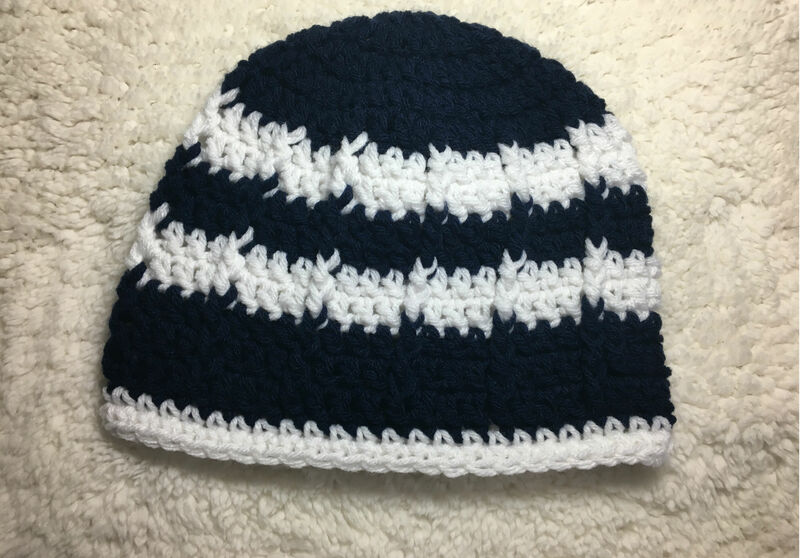 Simple and cute, this piece will keep you warm while adding a twist to the everyday beanie with its posted stitches. 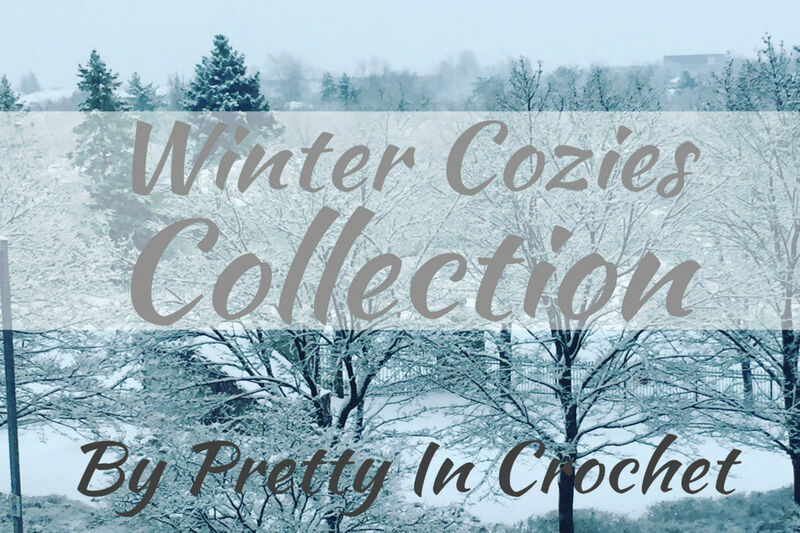 The pattern is easy enough for a novice crocheter and will work up quickly for those of you needing a warm piece in a jiffy. There are only two stitches, the double crochet and the front post double crochet. You can’t get much simpler than that! One skein each of Loops and Threads Impeccable in Navy and White. Row 1: In second ch from hook, 12 dc. Join with a sl st.
Row 4: Ch 3, in same st, dc. Dc in next 21 sts, 2dc in next. Dc in next 21 around, 2dc in ea around, 1 sc in sp left. (48 stitches). Row 8-10: Repeat row 5. Row 11-12: Repeat row 5. Row 13-15: Repeat row 5. Row 16-17: Ch 1, sc in same st, sc in ea around. Join with a sl st. Fasten off, weave in loose ends. And there you have the Winter Night Beanie! Easy peasy, I promise you. And both understated and yet, eye catching. Hope you enjoyed this cozy winter pattern. Be sure to follow the blog to stay up to date on patterns. Happy crocheting everyone!